Beautiful handmade automatic with stainless Damascus blade and bolsters. One of a kind mammoth ivory scales. 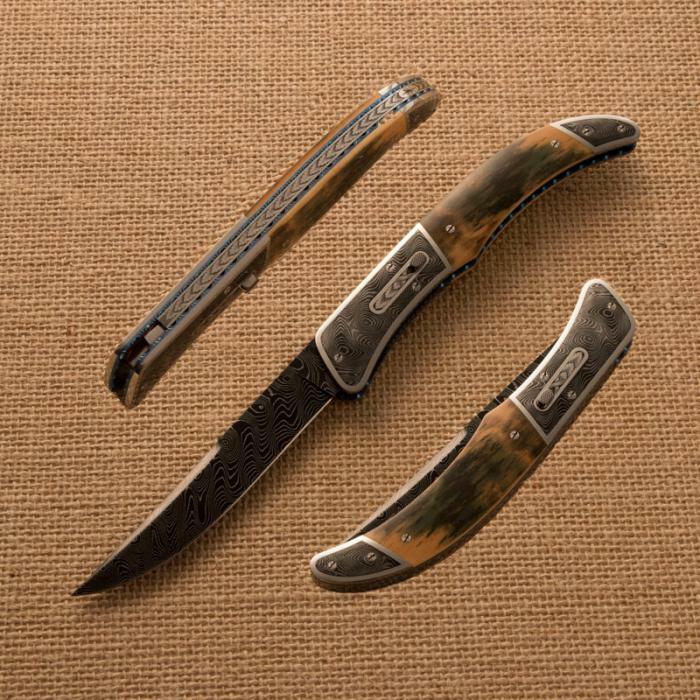 Embellishments: Partially etched Stainless Damascus bolsters and blade, black laquered with handmade and engraved screws. Spine fully engraved inside and out. Engraved rocker bar.